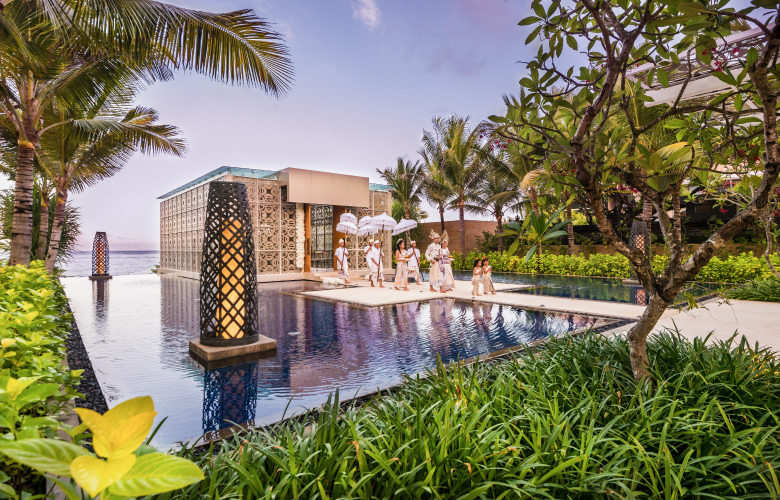 For those seeking pure elegance and luxury, The Mulia, Mulia Resort & Villas - Nusa Dua, Bali lends itself to the perfect setting of glamour and romance. 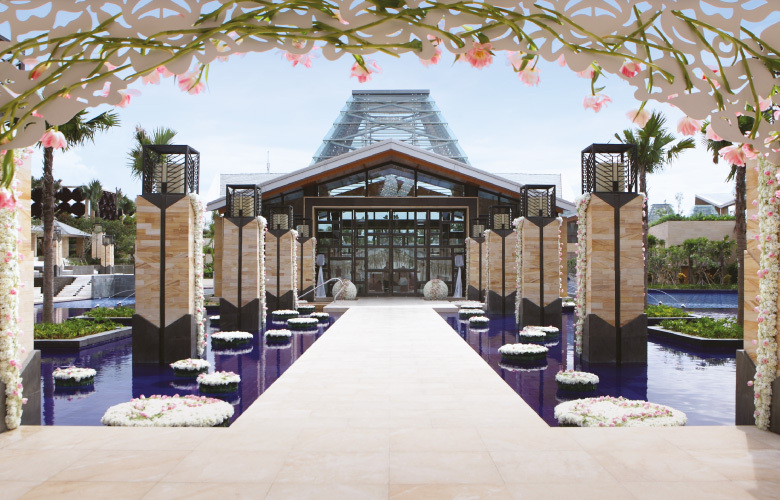 A myriad of spectacular venues await to be the idyllic backdrop for both outdoor and indoor weddings – from three stunning wedding chapels and two elegant ballrooms, to the eight dining venues. 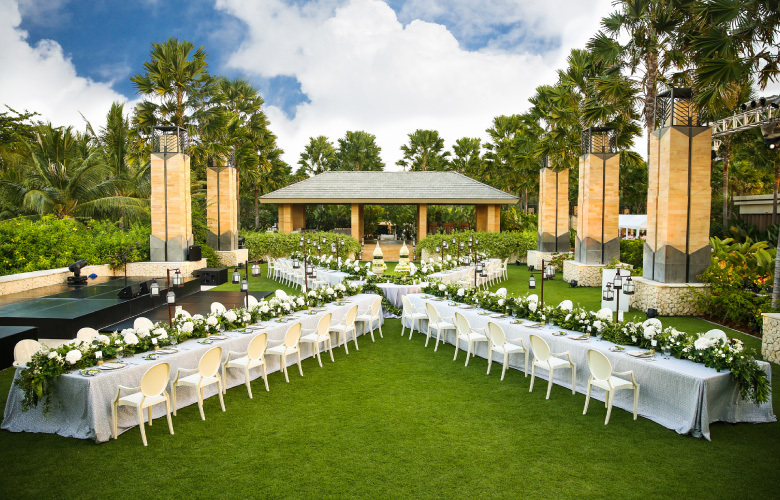 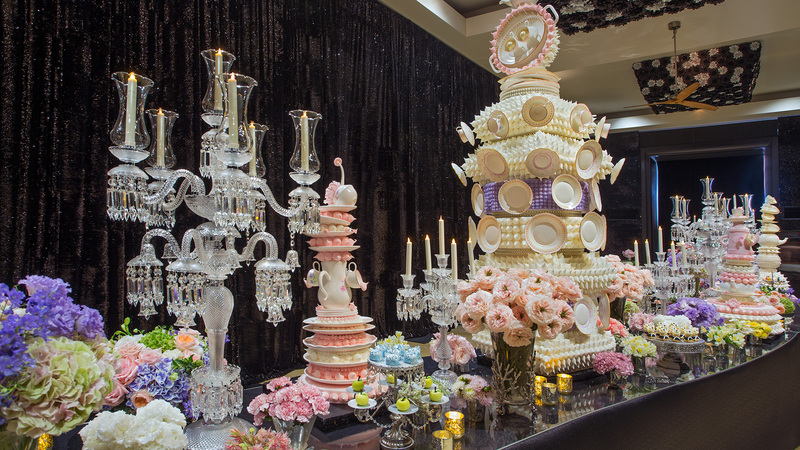 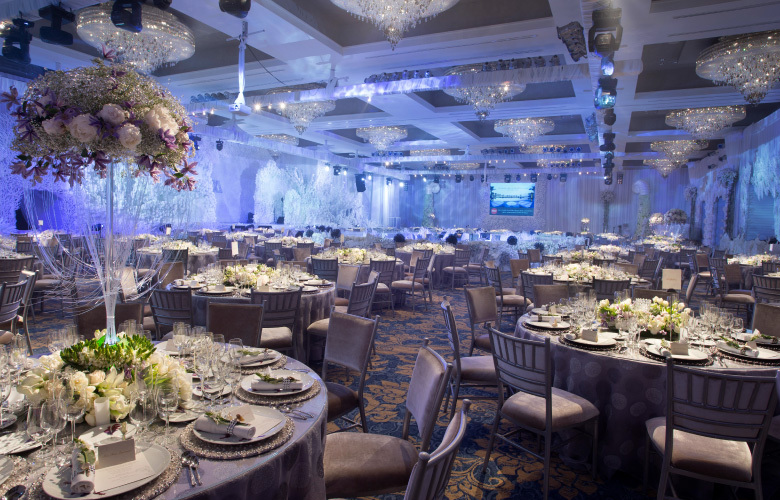 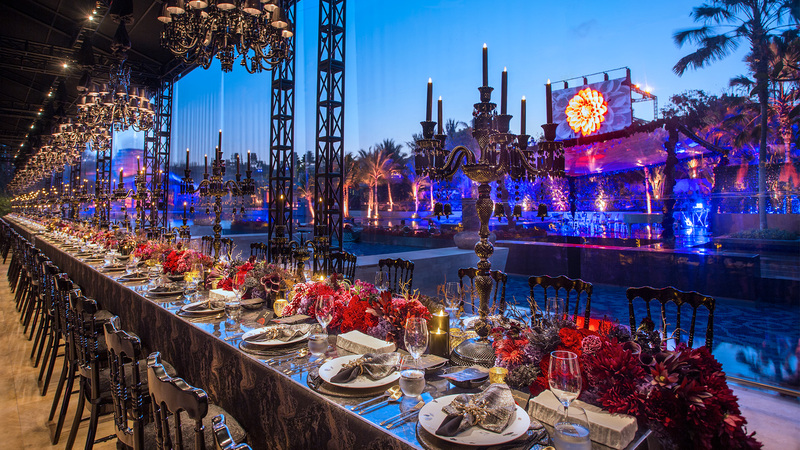 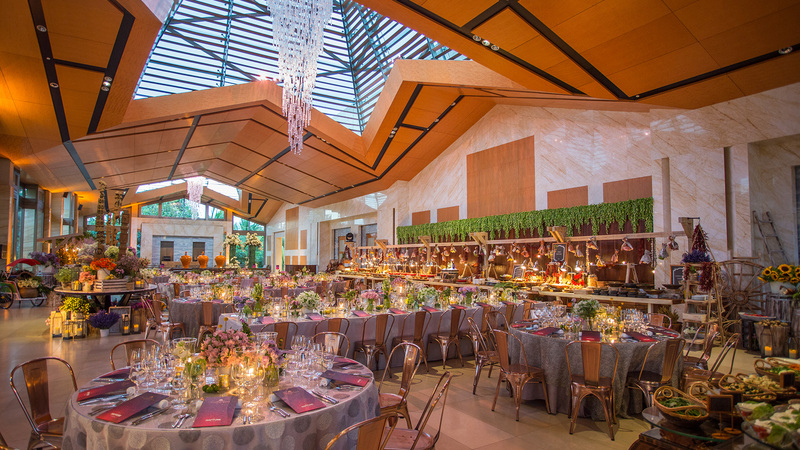 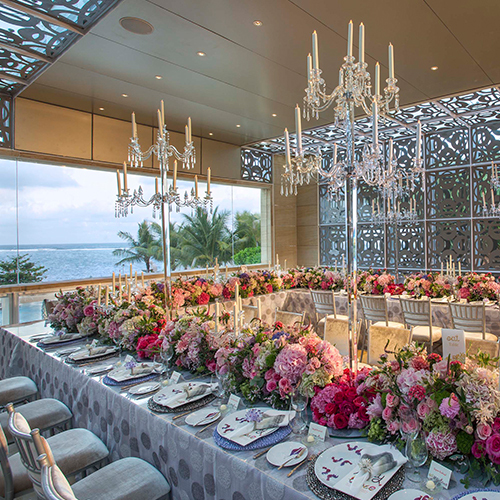 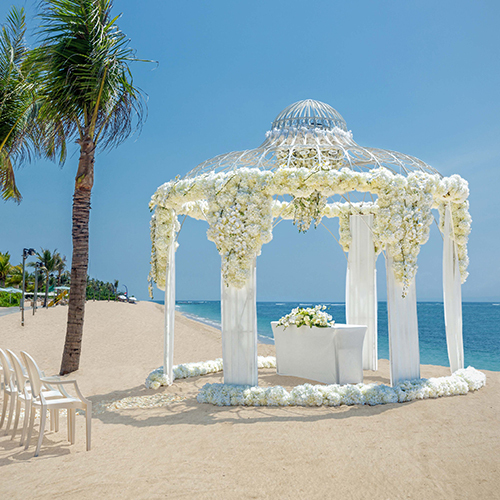 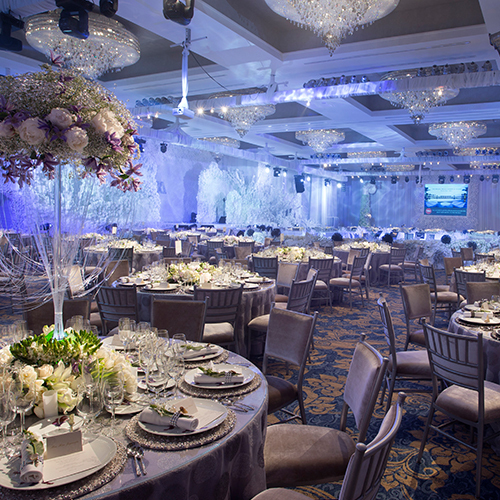 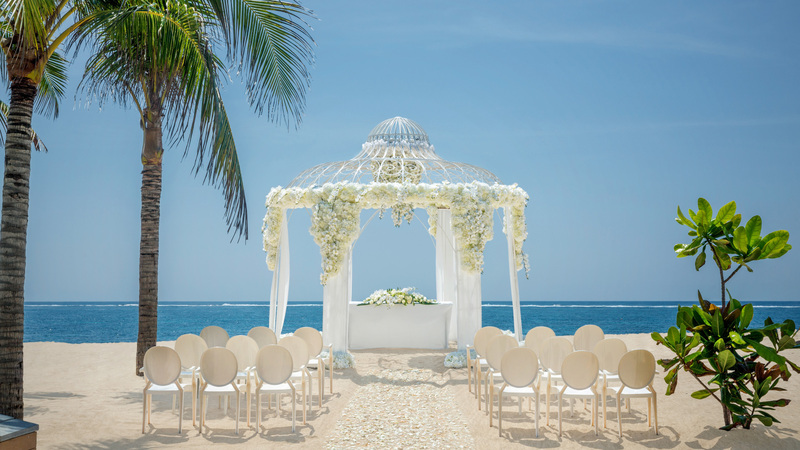 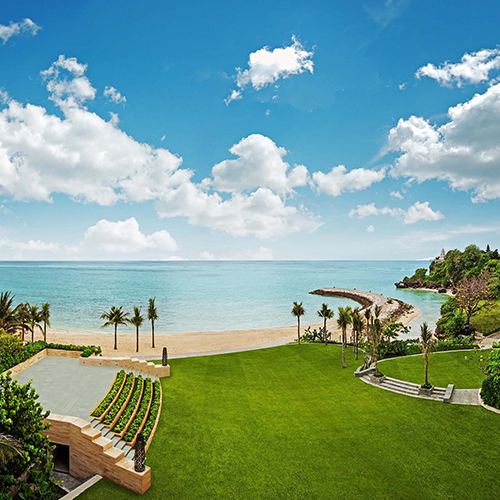 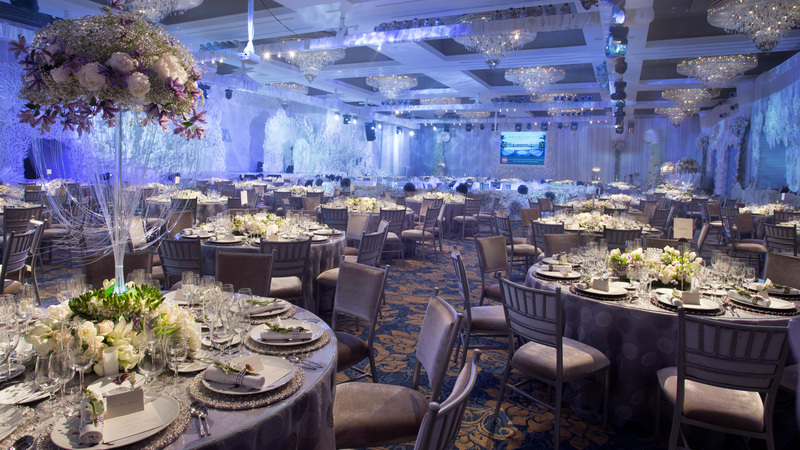 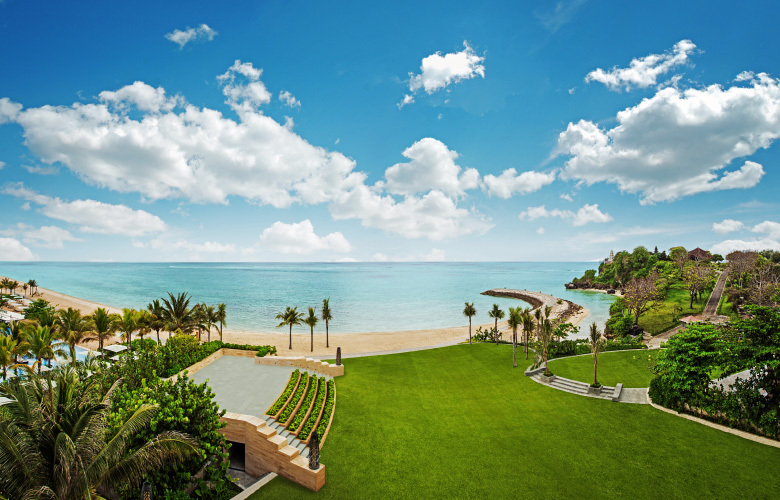 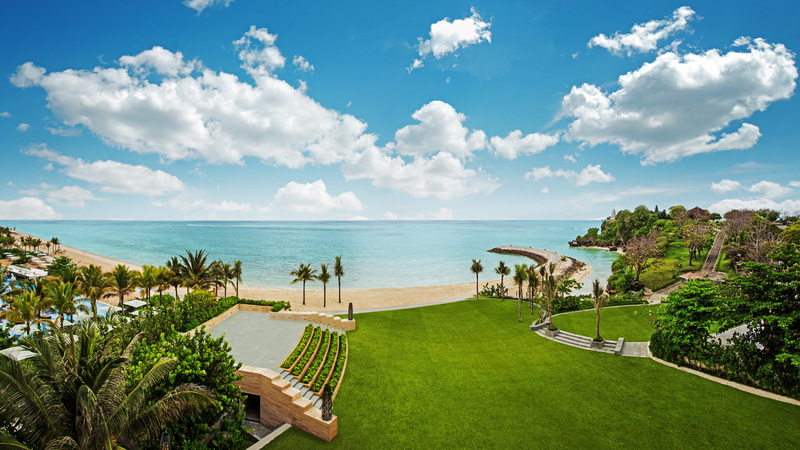 The Mulia, Mulia Resort & Villas — Nusa Dua, Bali offers amazing ballrooms, spectacular wedding chapels, breathtaking venue options and an infinite array of six star facilities. 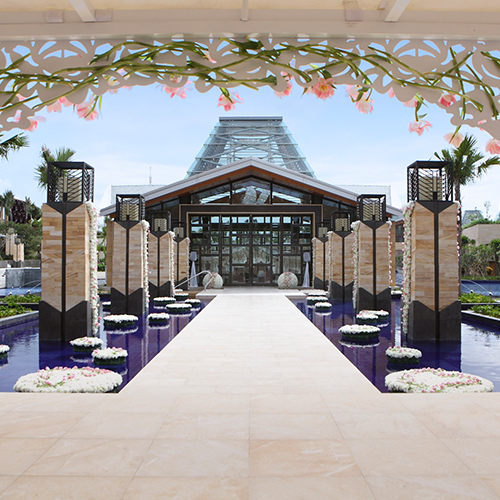 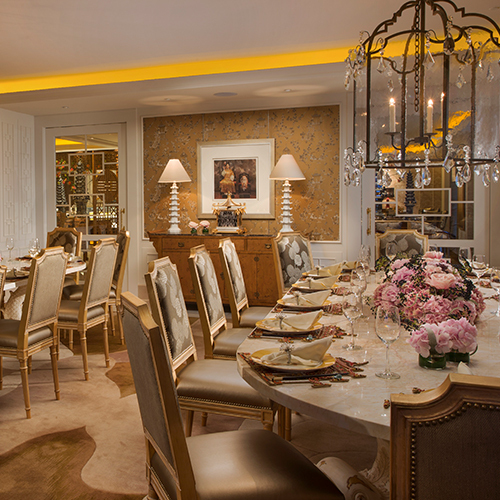 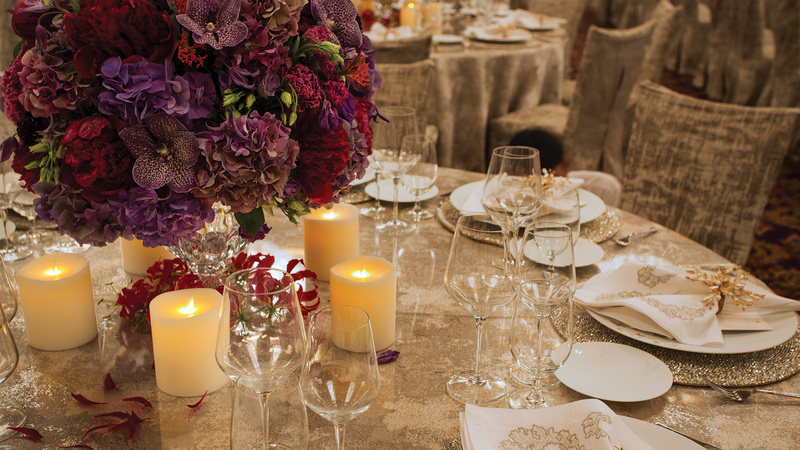 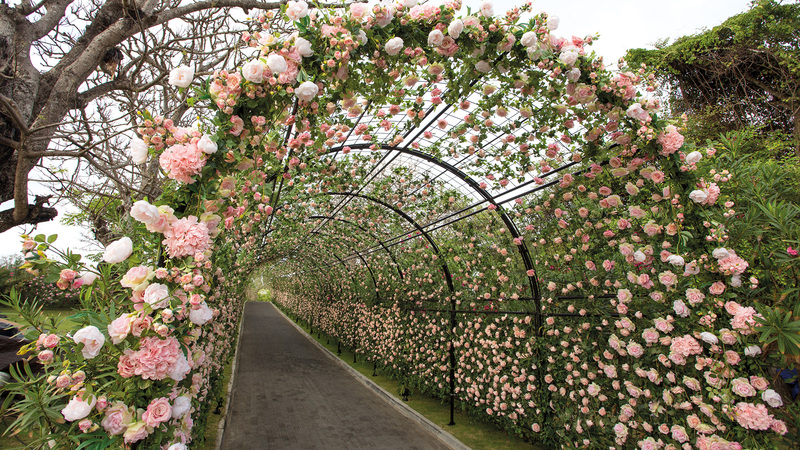 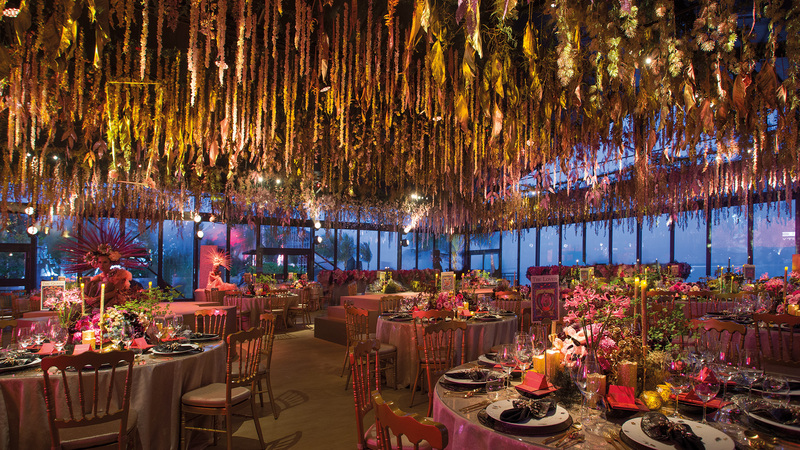 Choose from three signature locations and multi cultural themes to say “I do” to your loved one. 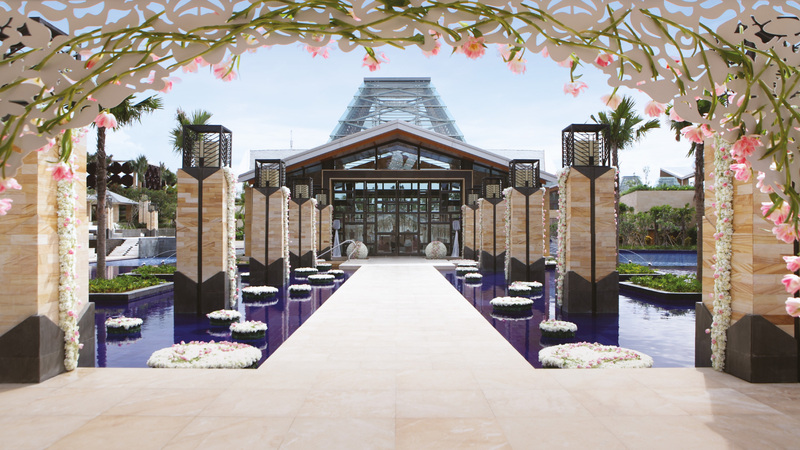 From the Eternity chapel surrounded by a lake provide seating for up to 250 guests, to Harmony chapel facing the Indian Ocean or a barefoot wedding on Nusa Dua's secluded beach. 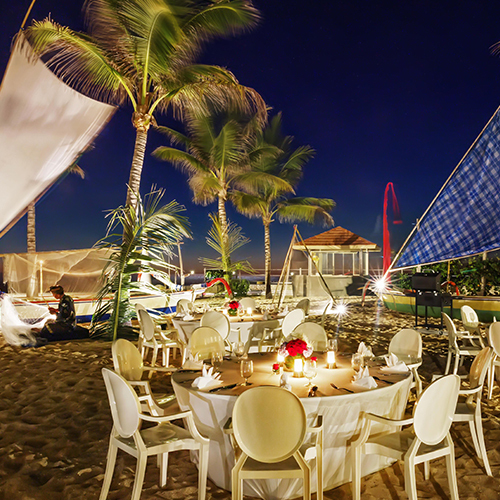 An exclusive beach-front venue that is perfect for wedding receptions and grand events under the stars. 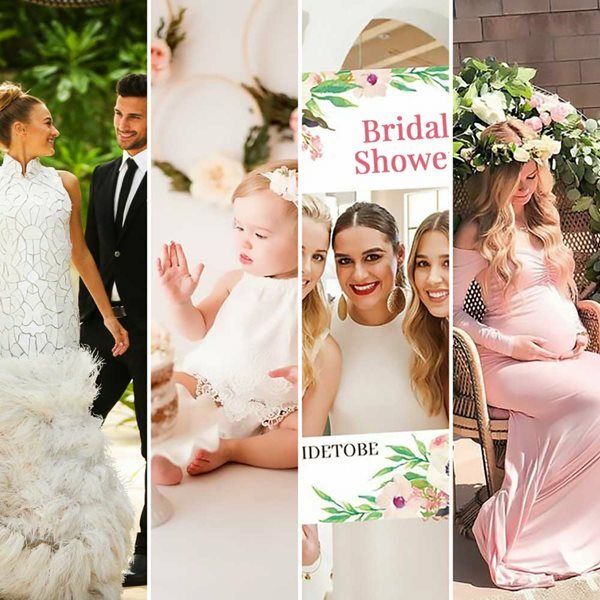 The highlight of the most important day for the Bride and Groom begins with a grand wedding celebration, surrounded by family and friends. 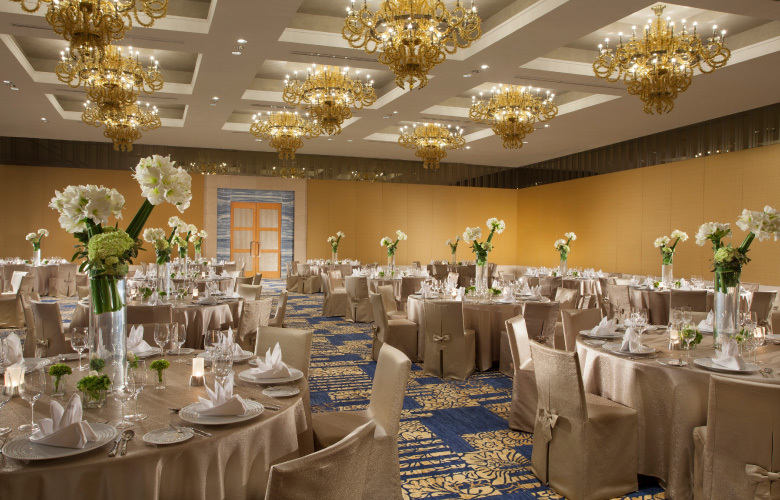 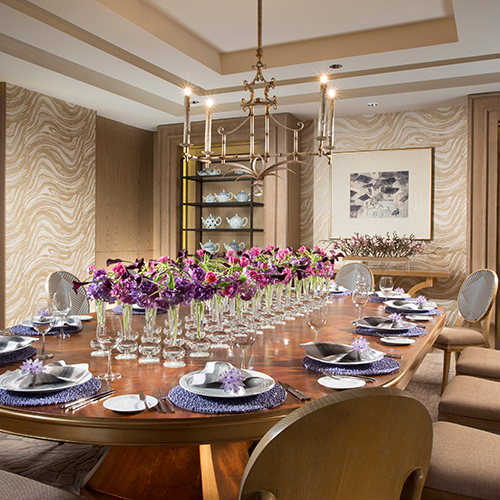 With an elegant foyer and grandeur interior and custom carpet, the Gerbera Room provides the ideal setting for an intimate wedding ceremony. 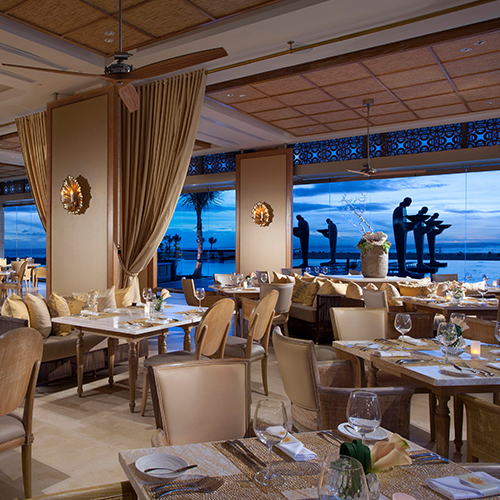 Soleil - enjoy our signature beachfront dining experience with full air conditioning, overlooking the pool and ocean. 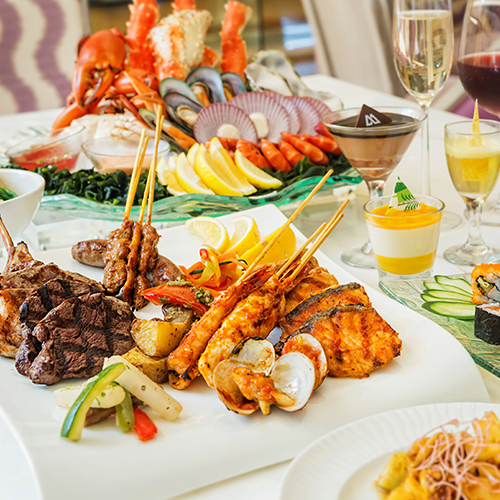 Indulge your guests with astonishing selections of sashimi, tempura, fresh seafood and premium cuts for a fun, live Teppanyaki session. 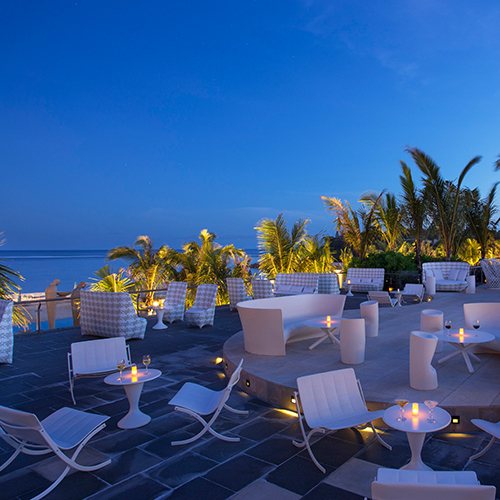 Feel the Indian Ocean breeze and breathtaking sundown spectrum across the sky, while sipping down concocted cocktails and favourite tapas. 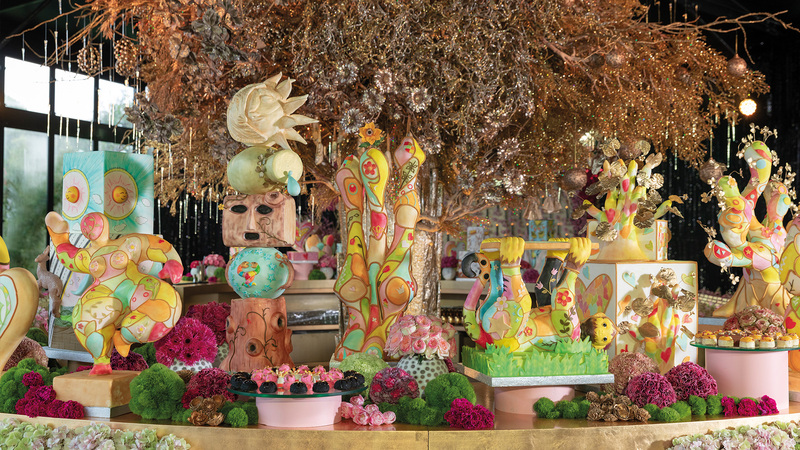 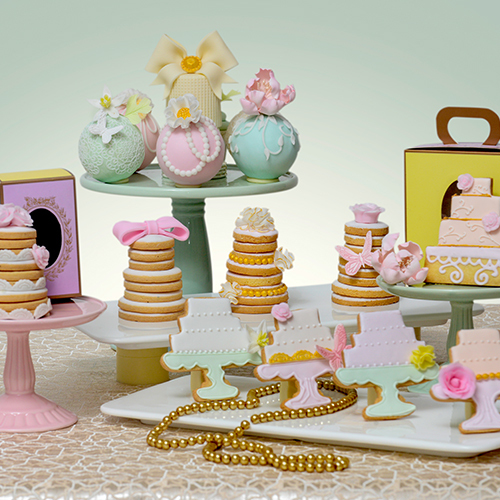 Ssweet gifts from homemade chocolates, cakes or patisseries that are ideal for special occasions. 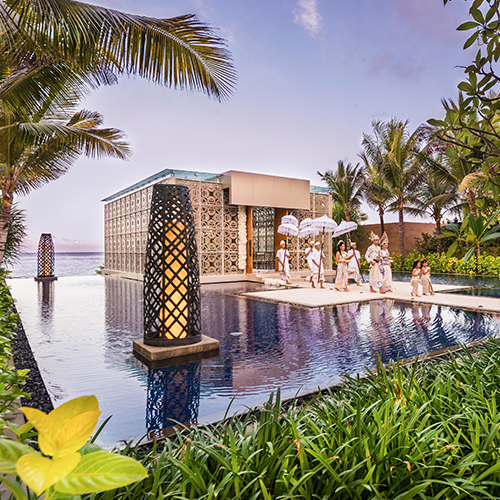 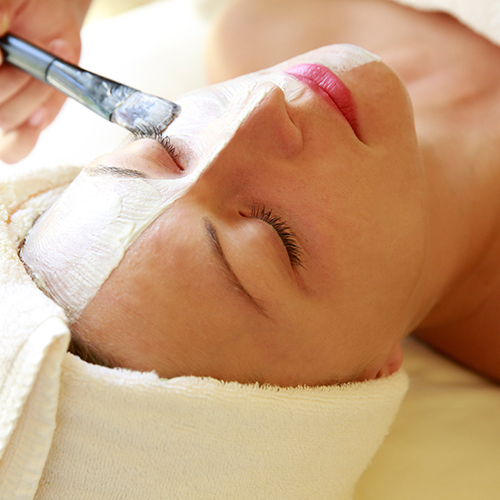 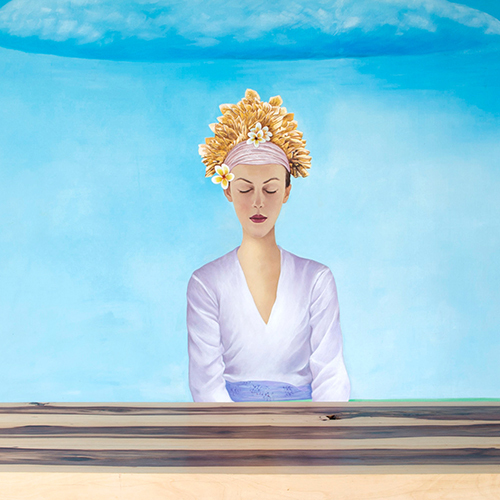 Be a queen for a day with this luxurious spa journey. 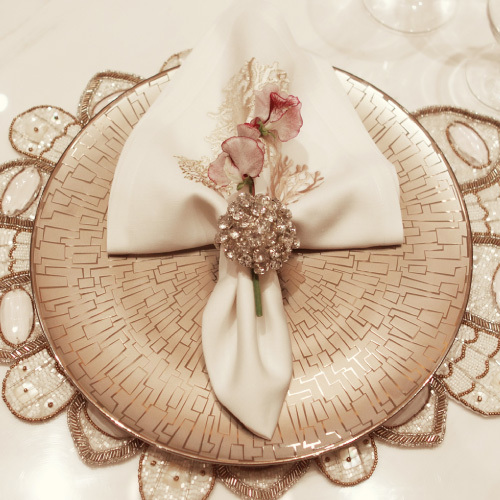 Look your best on your friend's special day. 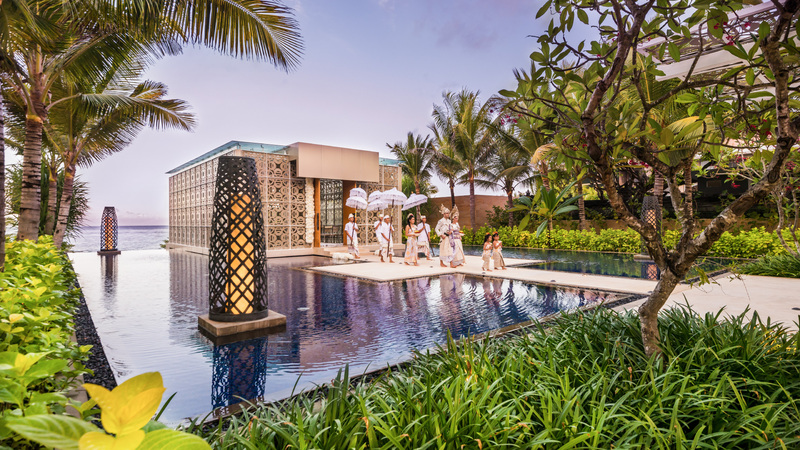 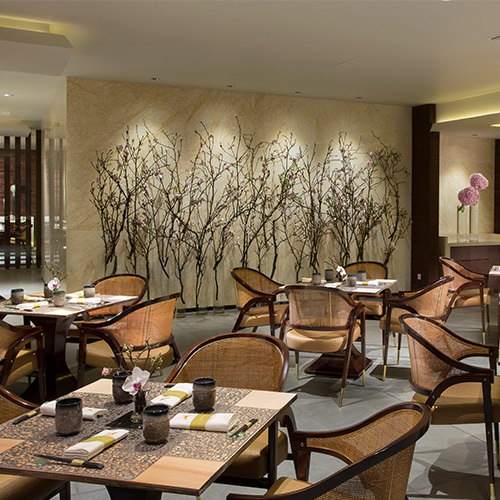 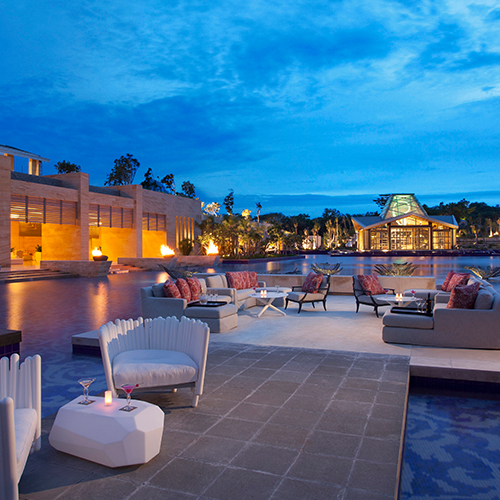 The beautiful tropical garden and soft white sandy beach of Mulia Resort – Nusa Dua, Bali provides the perfect setting to host a theme dinner.